One thing we noticed during our experience of breast cancer is that there is a wealth of experience, advice and information out there regarding breast cancer but not everyone will get the same information or advice. Quite often someone will have knowledge, tips or information which has helped them which someone else has not been given. We are attempting in our own small way to help remedy this. 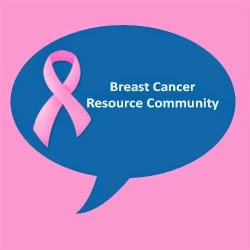 Over at Google Plus we've set up a community for breast cancer with the aim of providing useful information, links, resources, or just tips and advice. We hope it will be a useful central point for resources for anyone at any stage of diagnosis and treatment, or for anyone that knows someone going through this who would like to know more, and this is for both men and women.